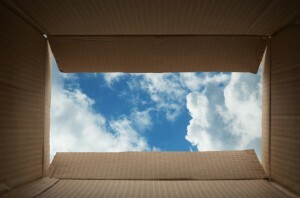 More and more small and medium sized businesses are starting to use cloud storage and services. In fact, the cloud services industry is growing and evolving fast – last year, the cloud service industry grew by $45 billion worldwide. Small to medium businesses make up a huge segment of customers purchasing cloud services, making it a widely-used business tool. One of the things that sets cloud services apart from other technology advances is that it is accessible to everyone, and allows small companies to benefit from the same technology advantages as large companies. File sharing includes services like Dropbox, Google Drive and Apple’s iCloud. These are services that are either completely free, or offer a free version for a certain amount of data. They allow you to share and edit images and files from between computers and devices. Online backup services like iDrive and Carbonite back up data on your computers and devices in a single account, and also restore lost data. Hybrid clouds are just what they sound like – a combination of public and private clouds. Companies can keep important data on a private cloud, while less secure data can be accessed by a range of people remotely on a public cloud. Cloud servers like Rackspace and Sigma offer shared file storage, allowing a business to move IT infrastructure to a managed cloud service. There are myriad choices and services out there, and in the next few articles we will explore the best kind of services for different businesses.